Bianca Cardigan 88200, Multi-Coloured, Merino Blend Fine Knit. 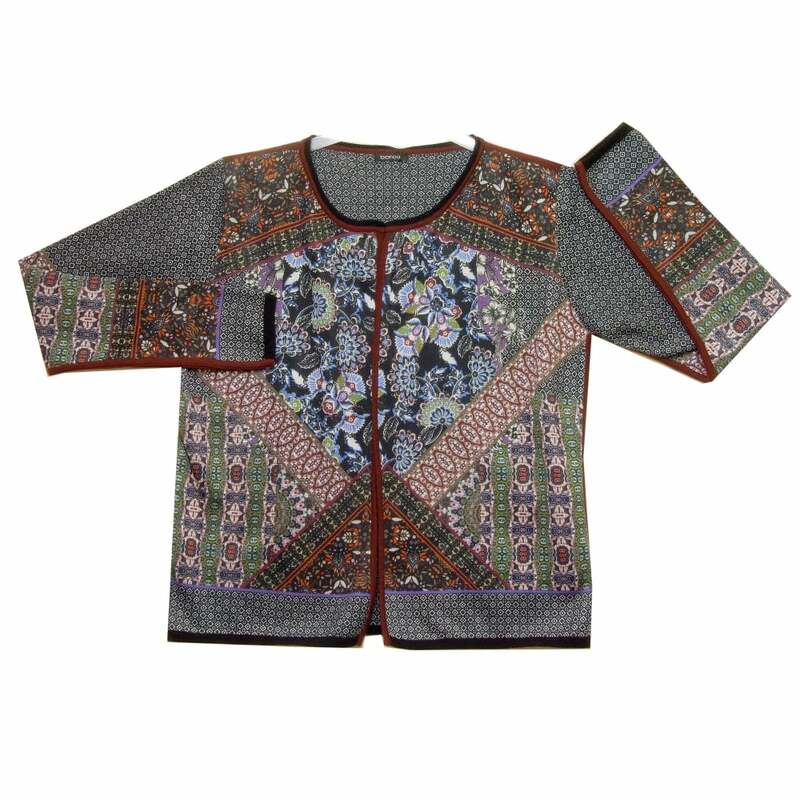 Cardigan, long sleeves, round neck, no closure, in Merino wool blend fine knit printed with a multi-coloured floral design. 78 percent polyester 28 percent merino wool.